During drug discovery, molecular target-based screening methods cannot examine all possible molecule and specific target interaction in humans. Other binding sites or non specific binding may lead to unexpected secondary actions causing unwanted side effects in humans. 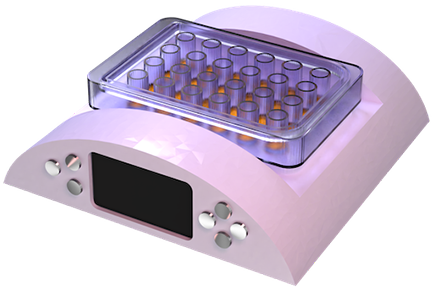 Invitrometrix multi-well cell-based quartz crystal microbalance (QCM) aims to address the shortage of phenotypic screens in drug discovery and development. 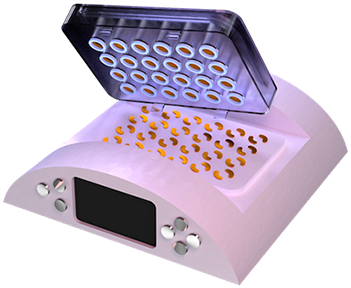 Our device provides a quantitative phenotypic cell-based investigation method. Our QCM is a living whole cell biosensor that detects measurable changes in cellular biomechanics: attachment, mass redistribution, viscoelasticity. The system creates real-time, reproducible and robust experiment data and can be used with any adherent cell type. The technique is label free, rapid, and sensitive, and it gives unique kinetic information such as protein-protein interactions from the bound cells. 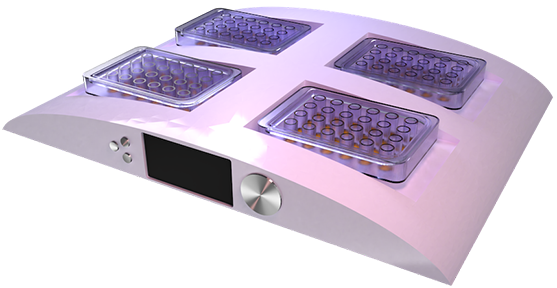 The Invitrometrix system is for live cell research and is designed based on cell culture wells instead of fluidics systems. Our novel patented higher throughput multi-well live-cell QCM device is calibrated to a standard and all wells run concurrently. It is the only method that can provide direct real-time second-to-second information of cells’ mass distribution and viscoelastic properties.